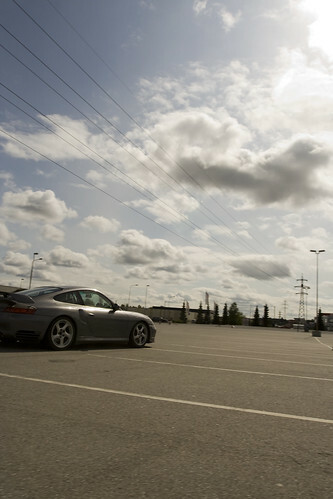 Today was the second round in the auto slalom championship of the norwegian porsche club. Marius and I went as usual, and as this session took place just a four minute drive from home, we were on our home turf. My part of the deal was as usual to take pictures while he did all the driving (and well, he didn’t defend his 7th place from last time, but he’ll bounce back for the fourth round!). Here are a few of the best shots from the day, the rest of them are available on my flickr page.